HIMCE can handle every aspect of ICD-10 assessment, remediation, implementation and education! 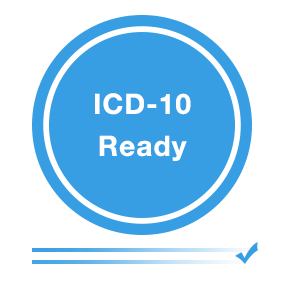 HIM Coding Experts (HIMCE) offers a comprehensive ICD-10 service offering to assist healthcare providers in every facet of ICD-10 implementation. Our organization is qualified not only to provide guidance on ICD-10 and HIPAA 5010, but also to evaluate readiness for the changes, to recommend solutions, and to assist with the implementation of those solutions. Our staff members have practical experience in information technology, clinical care, compliance, revenue cycle, clinical documentation improvement, and coding. As part of the transition to ICD-10, health plans are considering how provider processes and incomplete preparation impact health plan costs, revenues, and ultimate financial performance. Coder training takes time, decreasing productivity and claim processing volume. System and payer contract adaptations, clinical documentation shortfalls and coding errors will increase claim edits and denials, decreasing risk scores and increasing the number of claims incurred but not paid (IBNP). Education – Provider and health plan education for ICD-10 and risk adjustment. Our specialized education can be delivered to providers and their staff through self-paced learning modules or through customized sessions. Solutions – HIM Coding Experts has fully trained ICD-9 and ICD-10 coders to temporarily assist provider or health plan offices to keep productivity flowing during ICD-10 training or to address claim edit/denial bottlenecks post-transition. Coding Documentation Support & Audits – Full service retrospective coding and validation audits ranging from detailed compliance, to all code ICD-10, or just risk adjustment code audits for targeted providers to assure adequate documentation. HIM Coding Experts auditors are also familiar with all electronic medical record (EMR) systems and can review the flow and quality of documentation flowing through the EMR into health plan systems. Revenue Optimization – Detail technical and coding expertise provides the framework for technical system reviews between provider and health plan to identify revenue generating data losses. Additionally, an ICD-10 risk adjustment revenue impact analysis compares risk scores before and after the ICD-10 transition to identify potential revenues losses. Claims Based Solutions – HIM Coding Experts coders can help prioritize and reduce the volume of claim edits, denials and resubmissions. At HIM Coding Experts, our continuing efforts in helping our partners prepare for ICD-10; despite the 2015 effective date, our conversion plan from ICD-9 to the ICD-10 continues in full swing. Our team for ICD-10 has established a comprehensive implementation plan to identify and address all the components impacted and related to this conversion. Please contact us to learn more about what HIM Coding Experts can do for you.